Medical innovation legislation : common sense prevails? Paul Rumley provides an update on proposed new legislation in relation to innovative medical treatments and why recent amendments are a positive step for patients. Following the recent disastrous medical trial in France, which left one person dead and others with permanent brain damage, there is the news that the Access to Medical Treatments (Innovation) Bill, which has effectively ‘taken over’ from the previous Medical Innovation Bill, in this country has been significantly amended – you cannot help but think that those two things are linked? What is the Access to Medical Treatments (Innovation) Bill? Amongst other things, this proposed law was, in summary, planned to exempt doctors from legal sanctions when they were undertaking innovative treatment. The thinking behind the bill, and the earlier Medical Innovation Bill which we have written about before, was that the threat of negligence claims hinders doctors from trying out new treatments which could benefit patients. What was wrong with the Bill? No one should be above the law, and that is why this Bill was of such concern to lawyers like myself. The Bill was also designed to overcome a problem which does not exist. Doctors have been able to conduct clinical trials on patients, and experiments in laboratories, for very many years. Even, bodies such as the GMC and Medical Protection Society, representing doctors, were very clear that this Bill was unnecessary. The fear was that this proposed new law would put patients at risk of harm, without legal redress. An experimental drug was being tried out on volunteers, in what was a licensed medical trial – this is exactly the sort of circumstance the present Bill was trying to promote, and protect from the law. The drug was a painkiller compound, which was being tested by a research company. The healthy volunteers were taking the medication to help evaluate its safety. Unfortunately, for reasons which are not clearly understood, the drug caused significant problems for 6 volunteers, one of whom died and several others were left with likely permanent brain damage. A formal investigation has been opened in Paris into what went wrong in this trial. It is possible that the Access to Medical Treatments (Innovation) Bill would have left volunteers in this country in a similar situation without any legal redress for their serious, and in one case fatal, and life changing injuries. What changes have been made to the Access to Medical Treatments (Innovation) Bill? The MP who introduced this proposed new treatment, has now removed the clauses which would have provided doctors with legal immunity for such situations. Once the terrible news was received about the medical trial in France I, and other people who have had longstanding concerns about this Bill, renewed their concerns about it. It seems to be more than a coincidence, that within 2 weeks of that terrible tragedy, the Bill has been significantly altered – and quite rightly so, and this will hopefully now be the end of this proposal. The amended Bill, dealing only with an issue of a database relating to innovative medical treatments, is due for a second reading later this month. 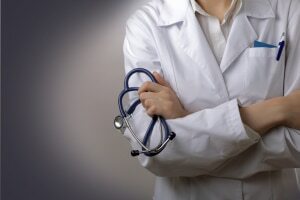 Part of our work as medical negligence lawyers, is to highlight learning experiences from medical treatment which goes wrong, and as an associated benefit to try and ensure it does not happen again and that therefore patient safety is ensured for the future. That “benefit” was threatened by the Access to Medical Treatments (Innovation) Bill as originally drafted.